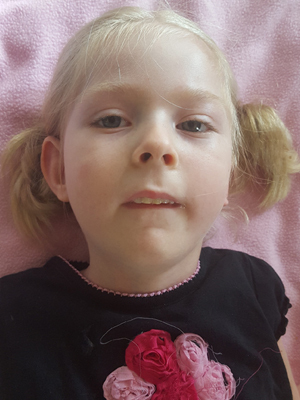 Eva Pearl Hartman, age 5 of Shelbyville, Kentucky, passed away on Monday, October 29, 2018 while visiting her family in Minnesota. Services will be held in Kentucky at Shannon Funeral Home. On July 10, 2013, Brett and Callie (Dotseth) Hartman, welcomed their daughter, Eva, into the world. She was the youngest of their two girls to be born and in raised in Shelbyville, KY.
Eva is loved and missed by her parents, Brett and Callie; sister, Mollie; grandparents, Charles (Alison) Dotseth and Darrel (Jane) Hartman; great-grandfather, David Lehman; her many aunts and uncles, Trevor (Abigail) Dotseth, Tracy (Ricco) Tumminello, Tyler (Julie) Dotseth, Janna (Taylor) Dubbe, Chrissa (Aaron) Hartman, Josh (Brianna) Dotseth, Abigail (Ryan) Lehnen, Jessie (Veronica) Dotseth, Stephanie Dotseth, Ellee (Rob) Hartman, Kayla Dotseth, Lane (Theresa) Hartman, Liza Hartman, Chris (Claire) Hartman, Matthew Hartman, Michael Hartman, and Laura Hartman. Eva is preceded in death by her great-grandparents and uncle, Caleb Dotseth. Arrangements with Ballard-Sunder Funeral Home, Jordan, MN and Shannon Funeral Home, Shelbyville, KY.
Brett, Callie, and family, please accept our sincere condolences for the loss of your sweet Eva. You will be in our prayers.